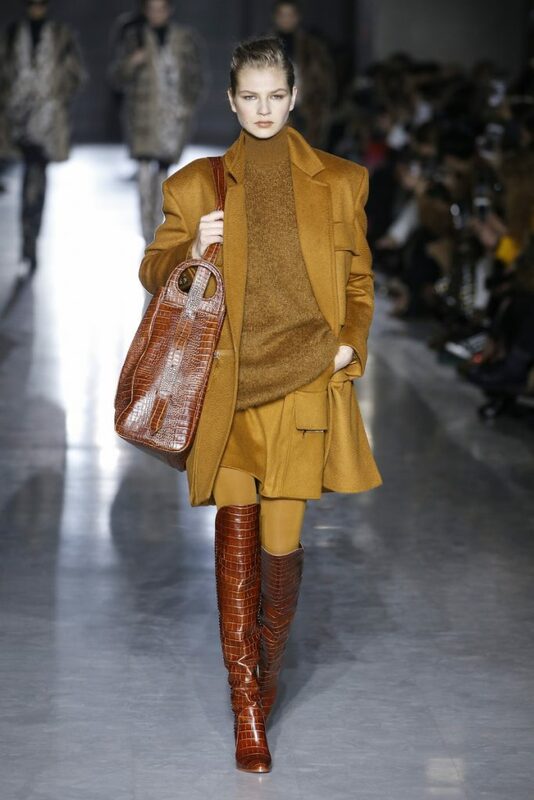 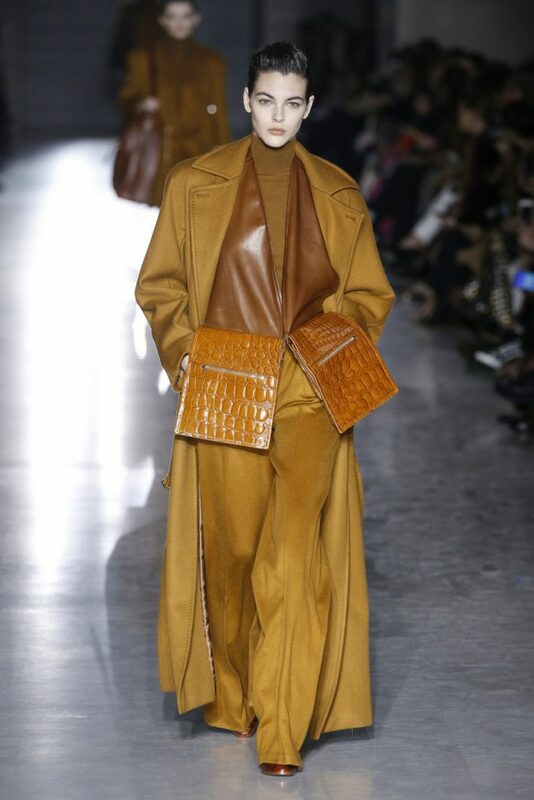 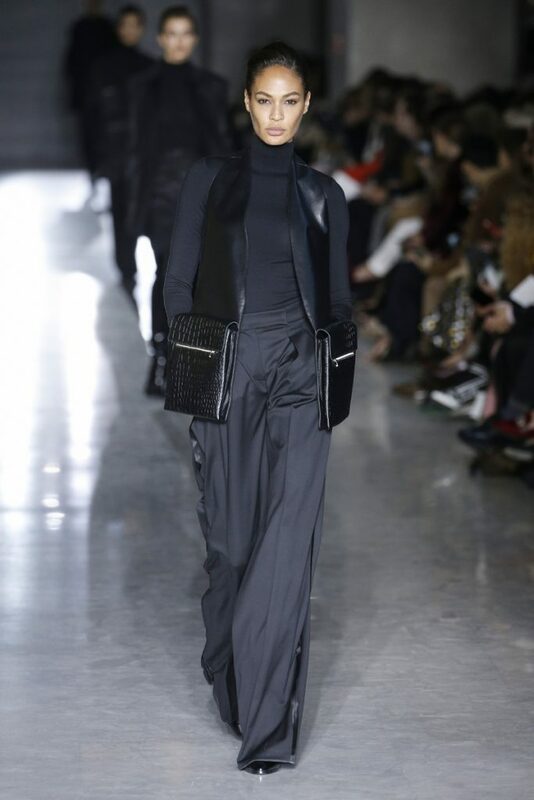 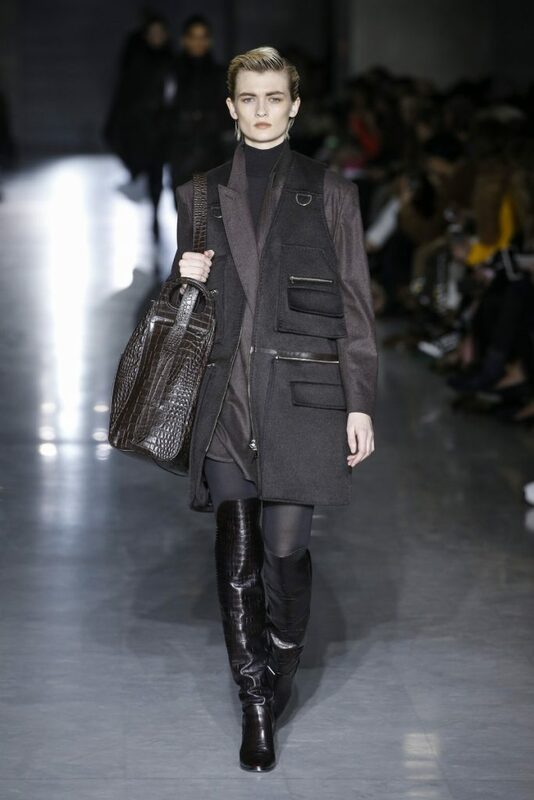 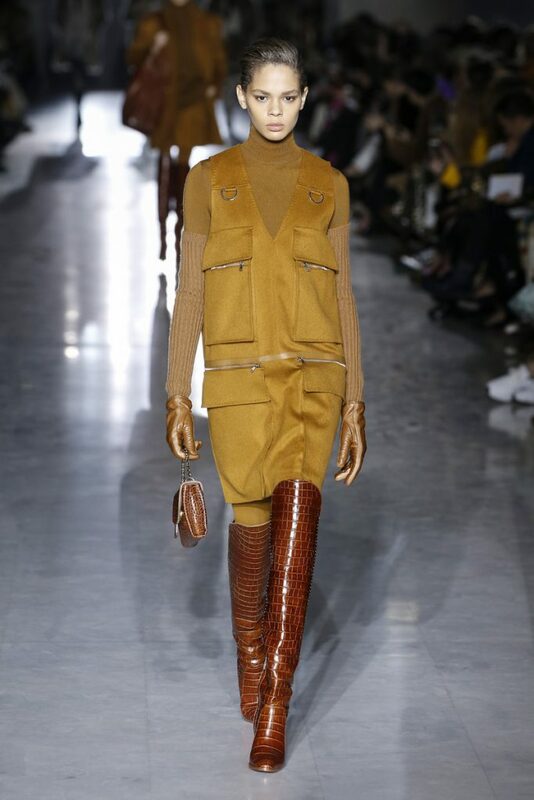 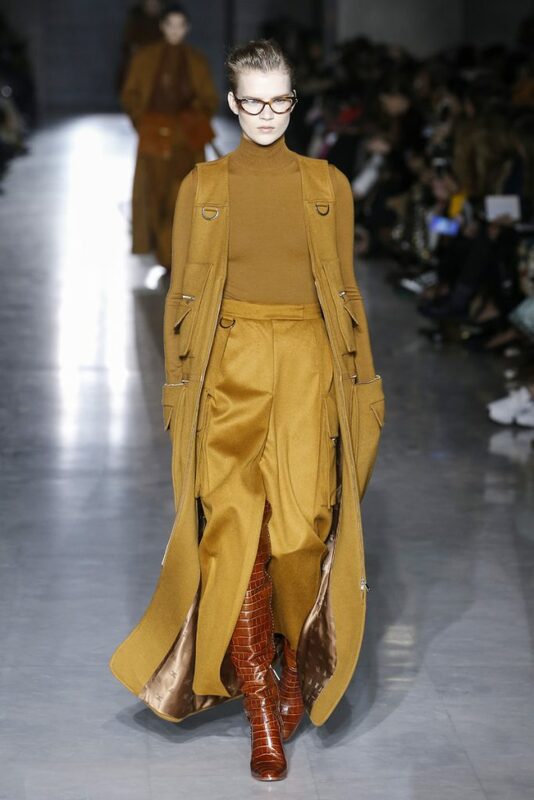 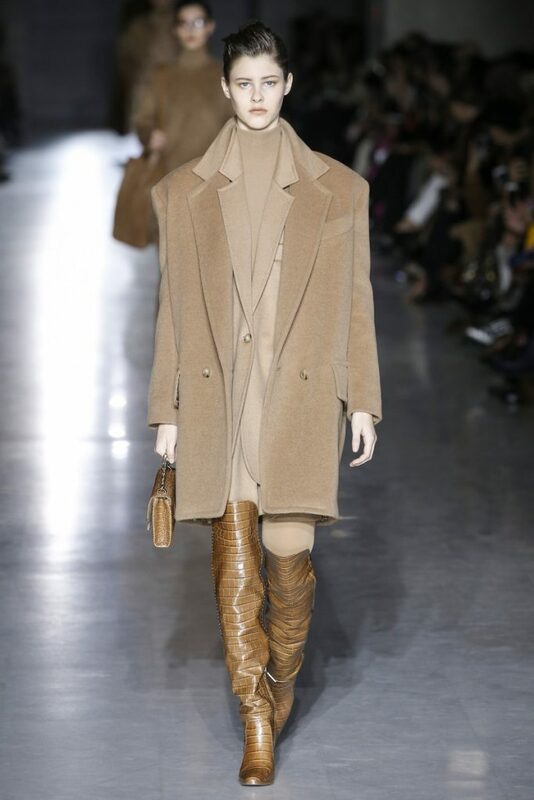 No camel coat as the opening Max Mara look this season. 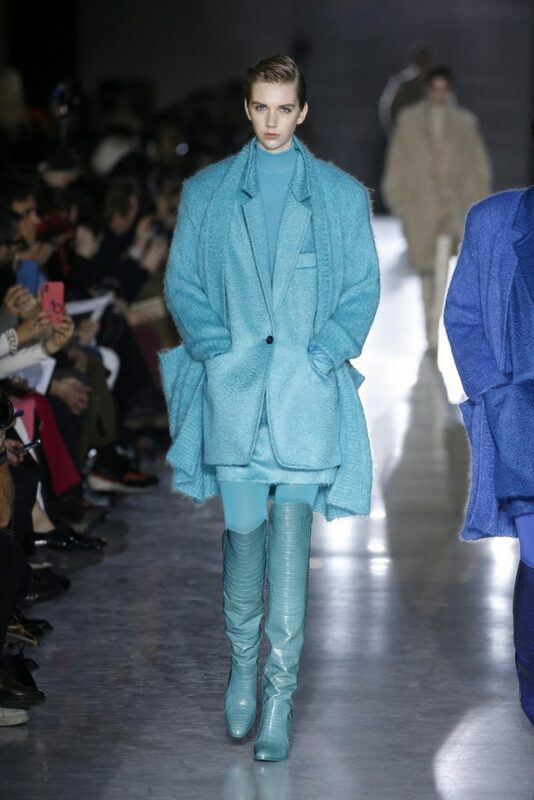 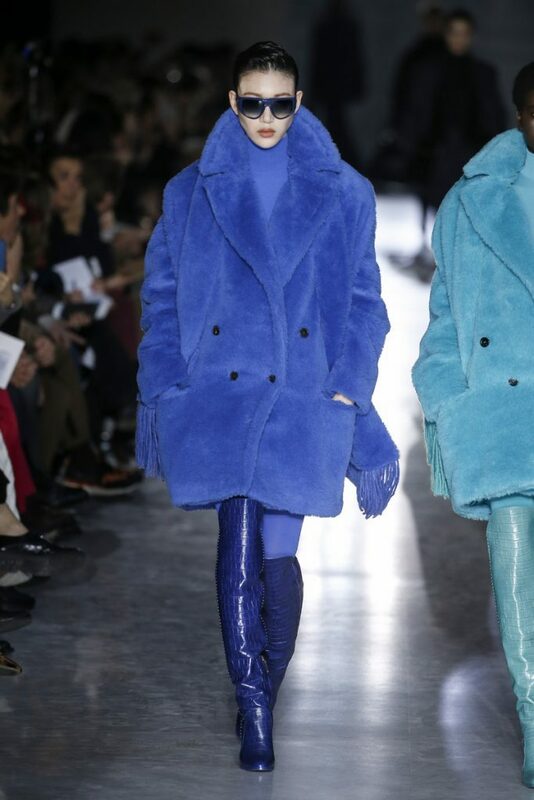 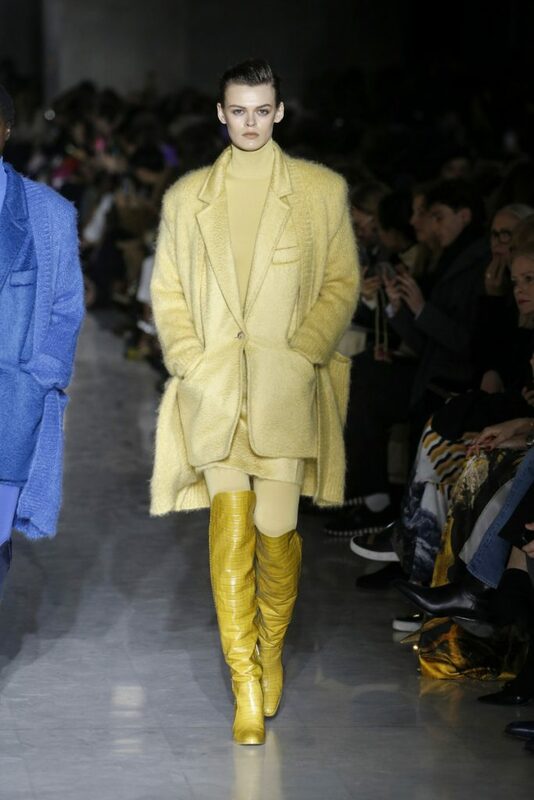 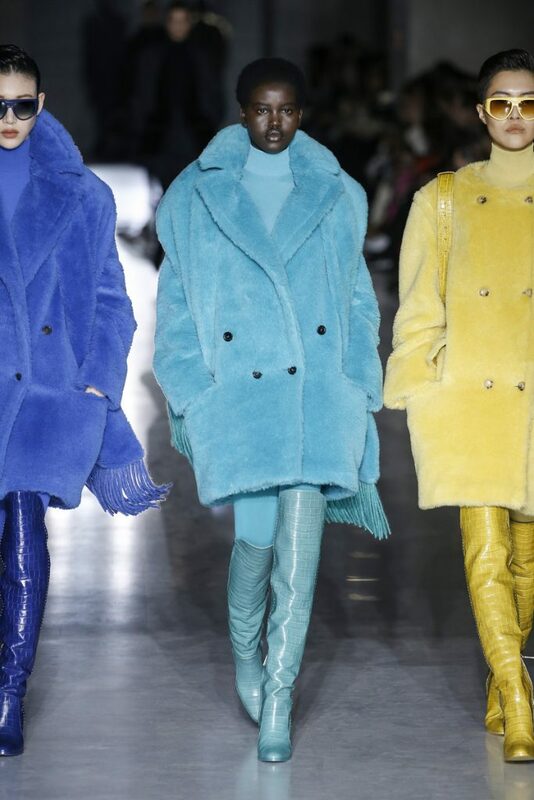 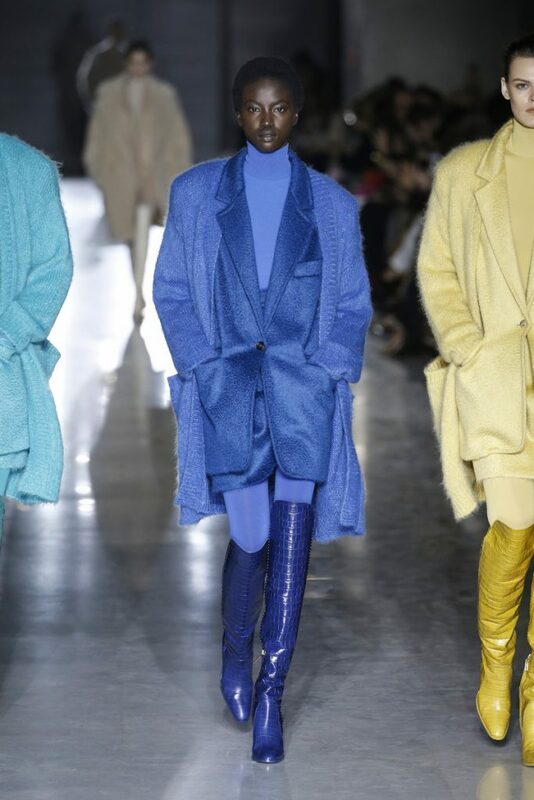 But a trio of turquoise (Bente Oort opened the show), blue and yellow woolen coats (on coats) in stead. 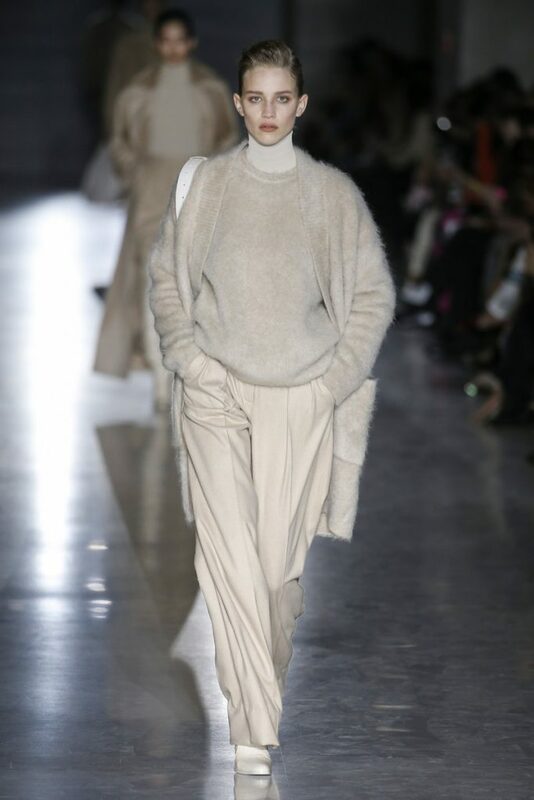 After that the (new) neutrals (that are such a huge trend right now, especially on Insta) kicked in. 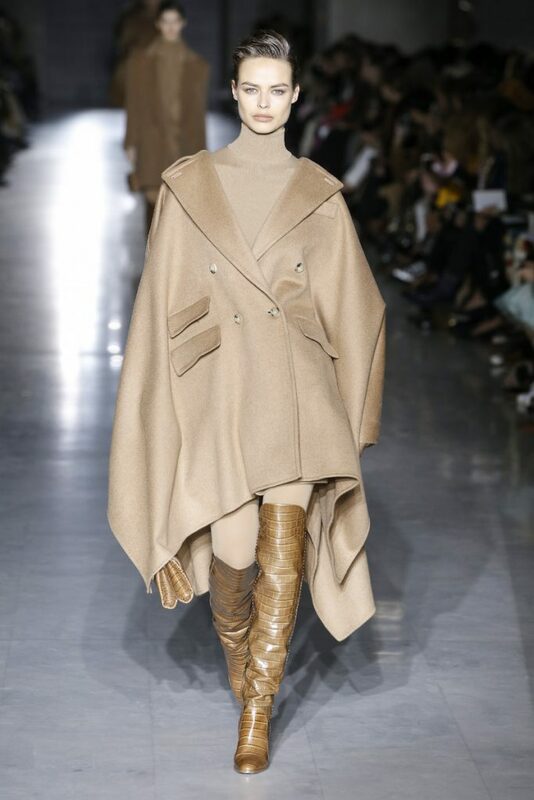 Starting off with Kaia Gerber in a head to toe beige colored look. 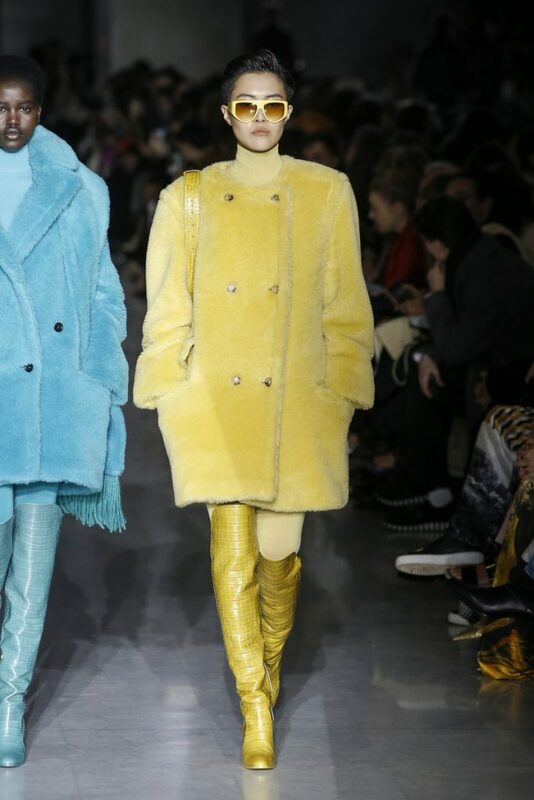 The four looks that followed all had the same color palette (ton sur ton deluxe!). 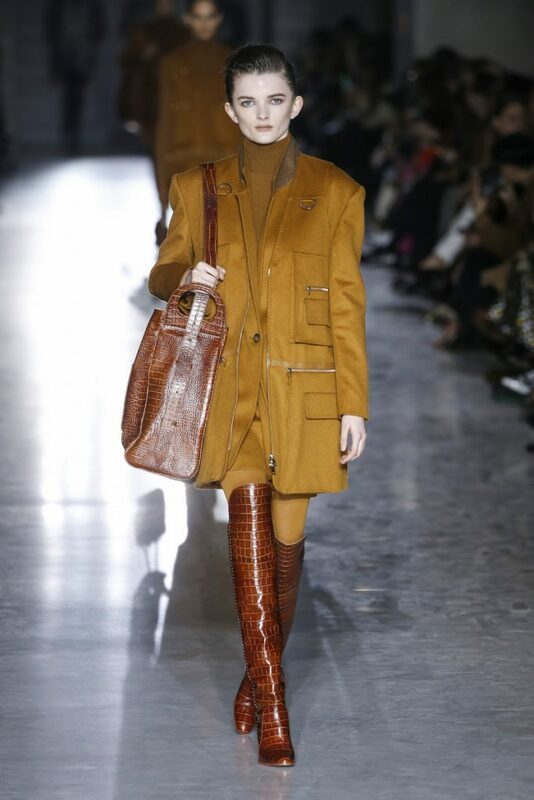 On came the camel fits with croc leather details (belt bags and boots). 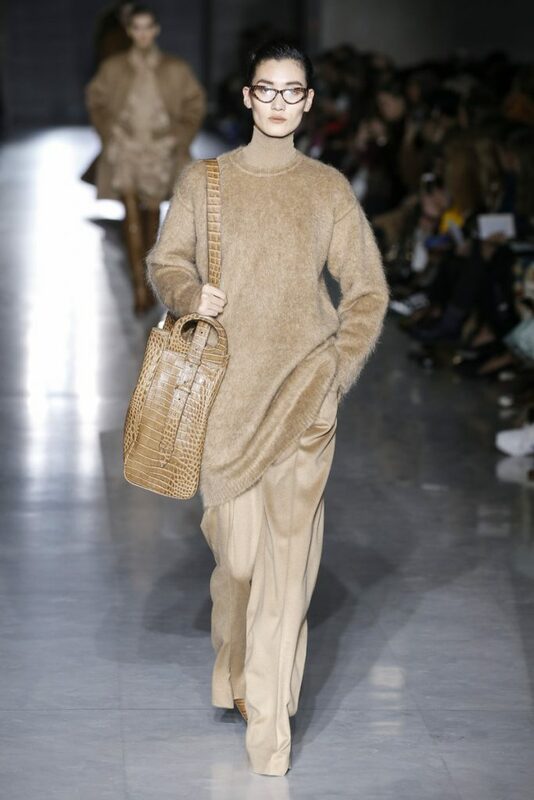 All very roomy and elegant. 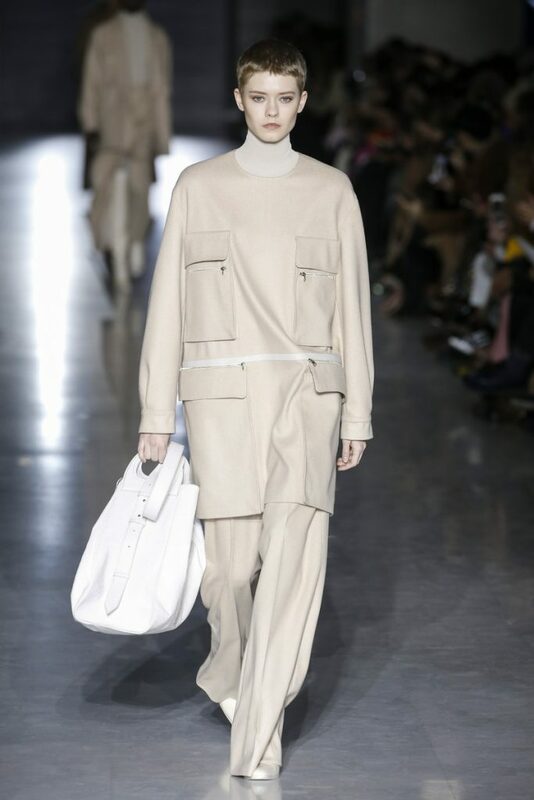 A multi pocket pinafore dress sported by Hiandra Martinez added to the utility side of the collection. 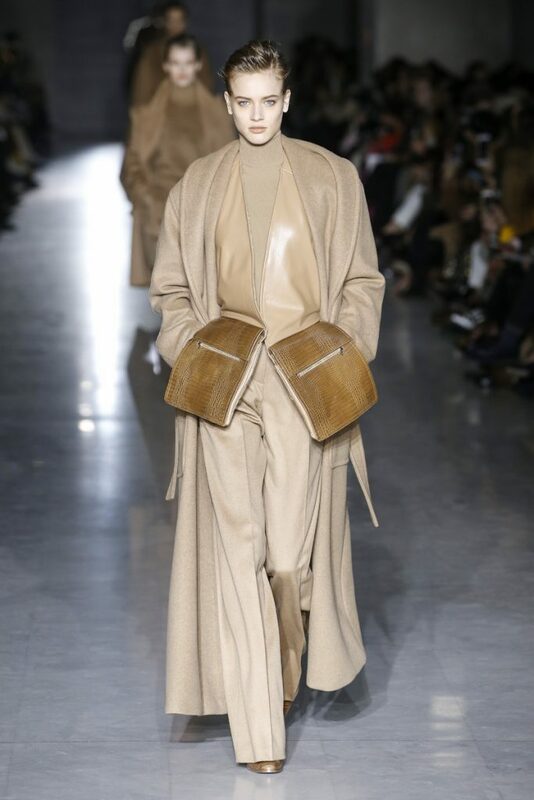 Multiple pockets and chest bags added to that effect. 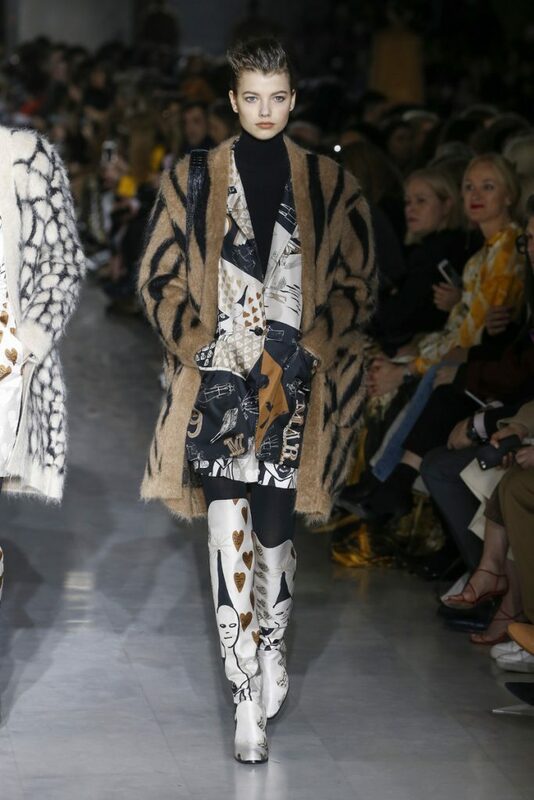 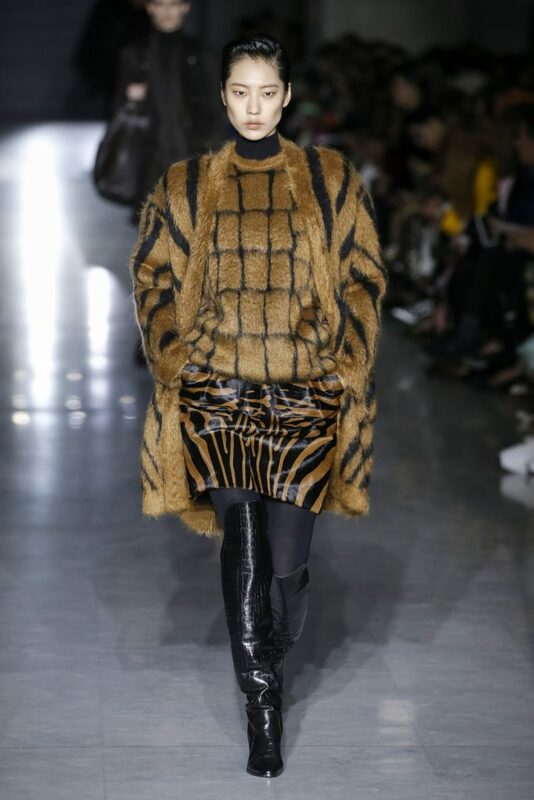 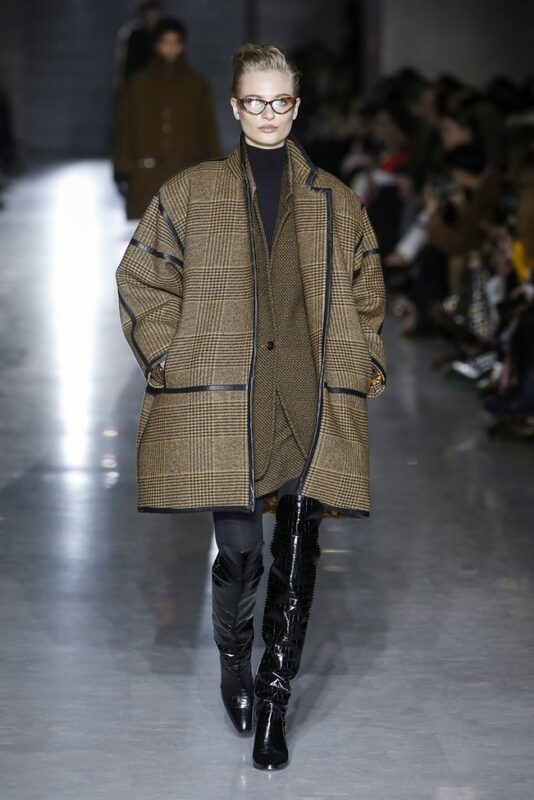 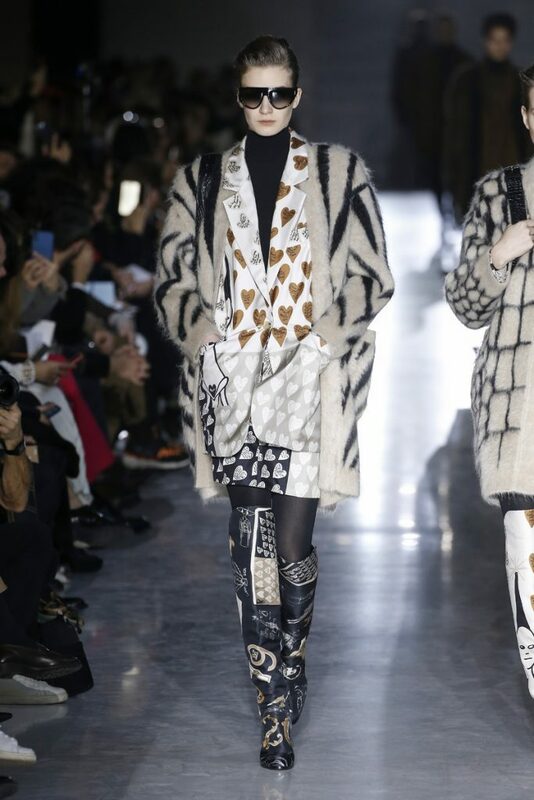 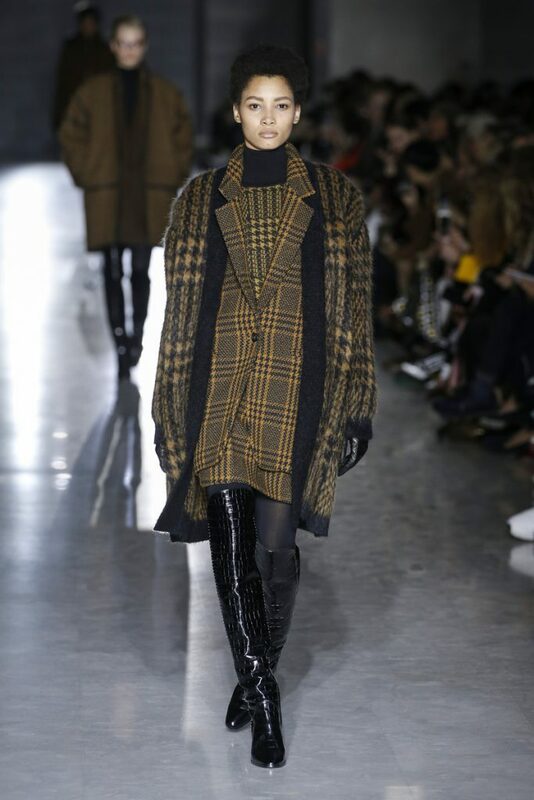 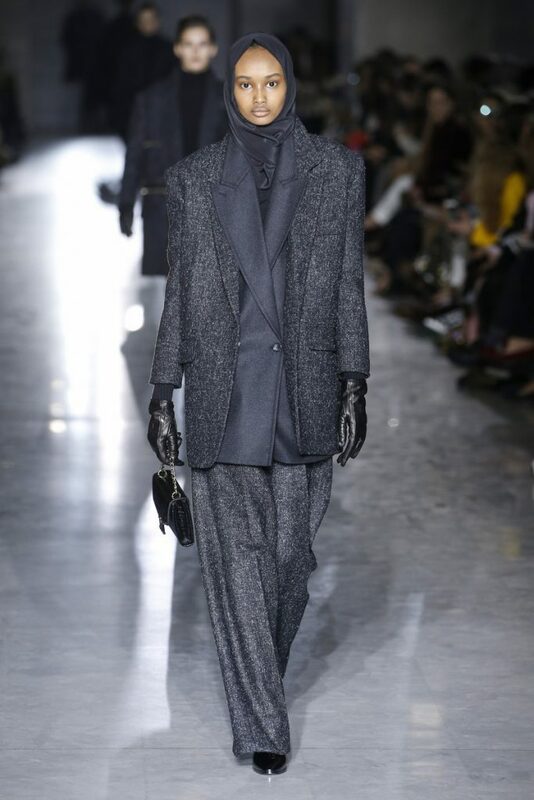 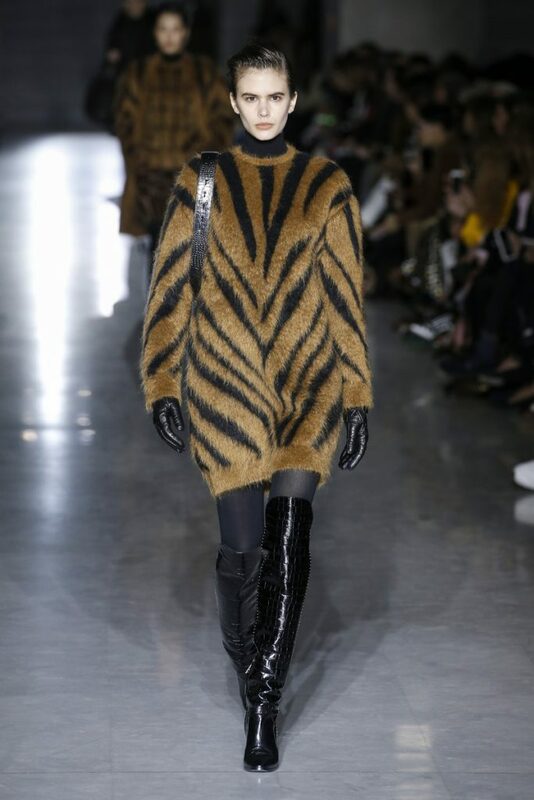 Tweed coats, tiger printed fur tops, a pinstripe skirt suit, short croc skirts, cloaks, capes and high collared tops made sure the Max Mara women has some options next season. 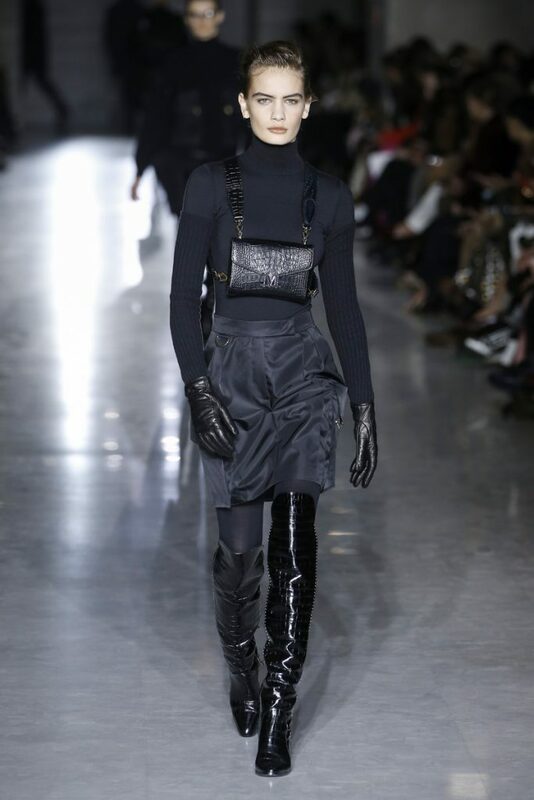 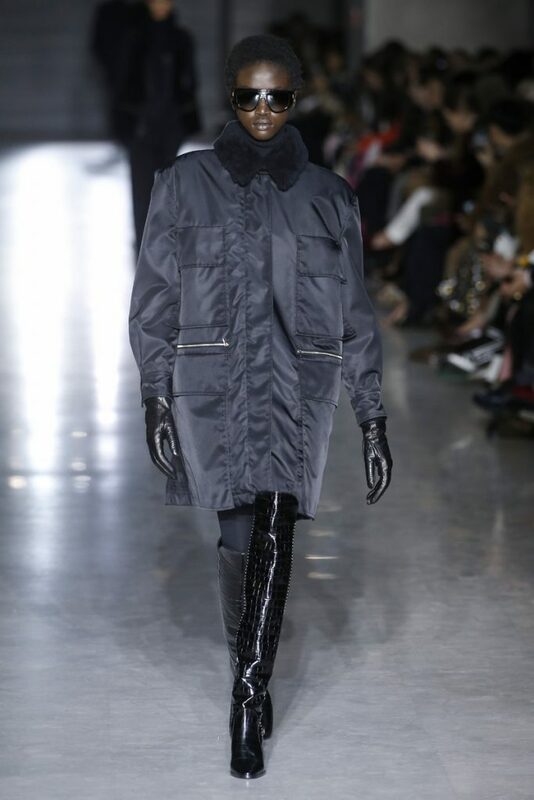 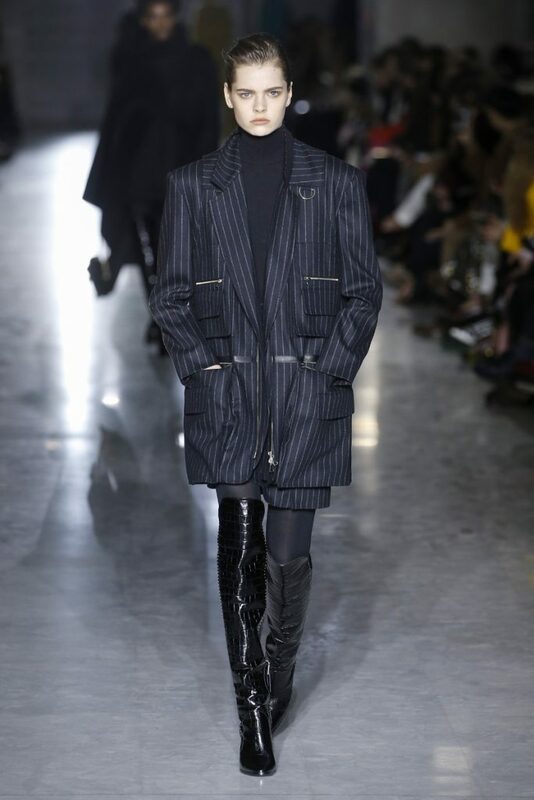 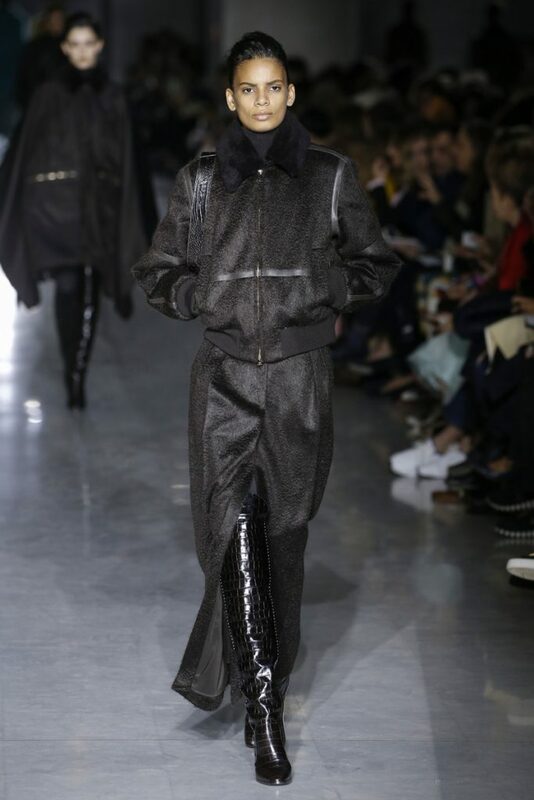 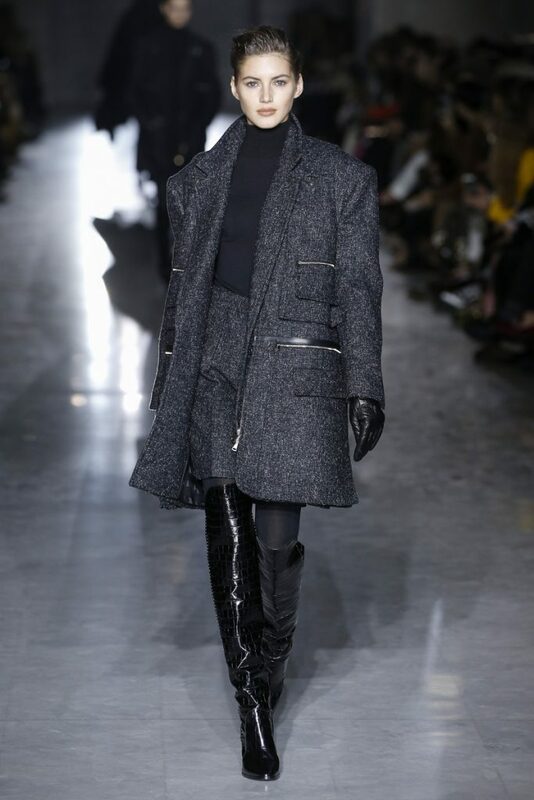 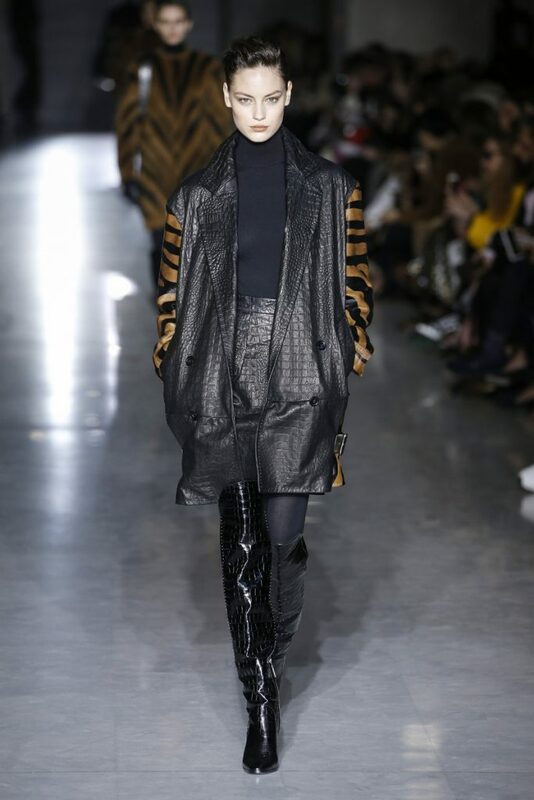 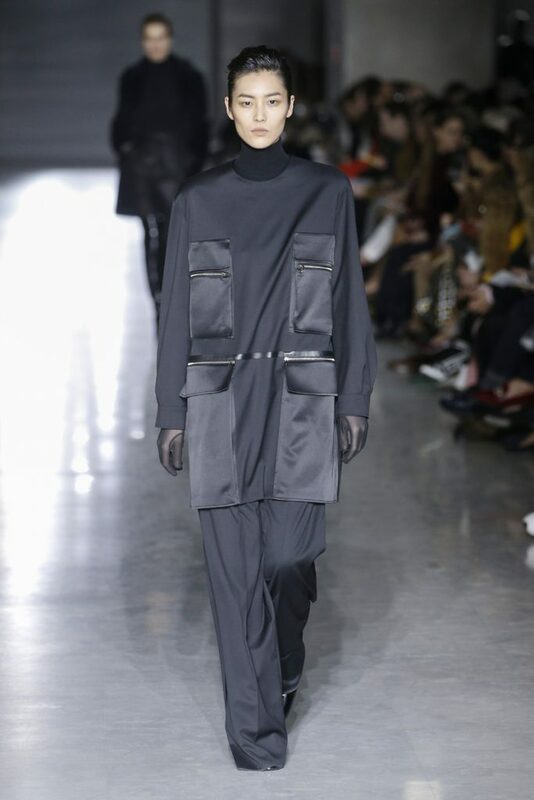 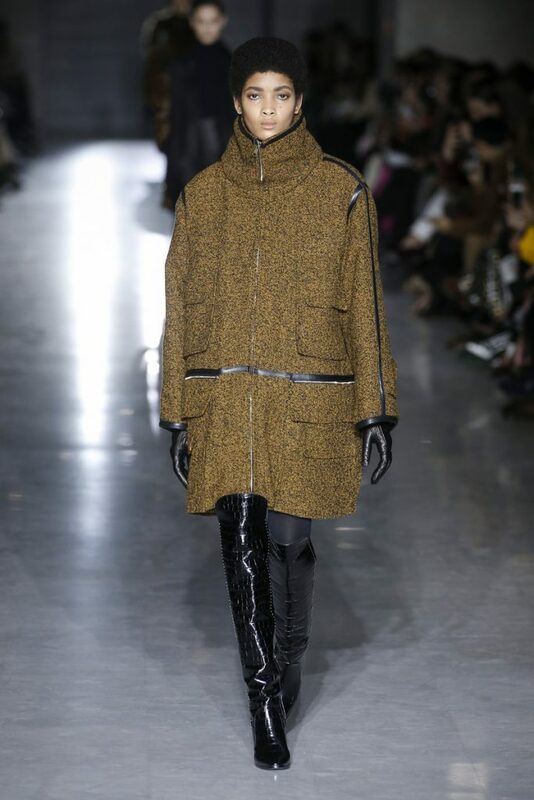 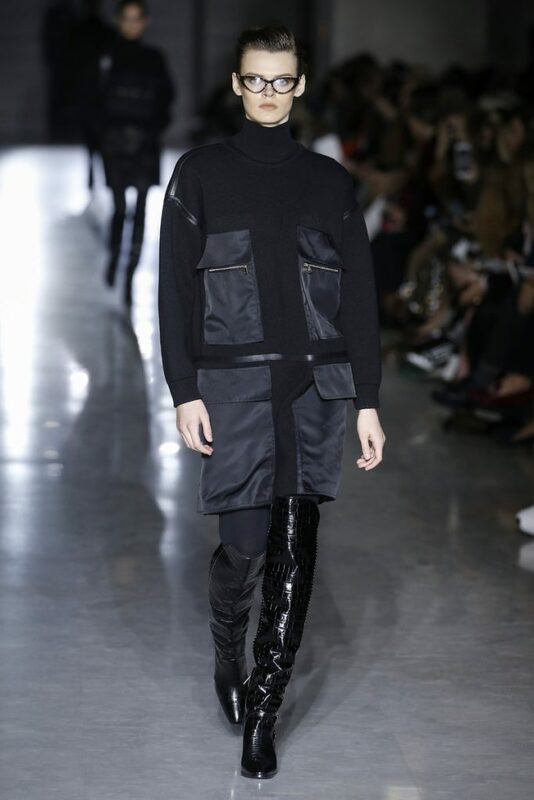 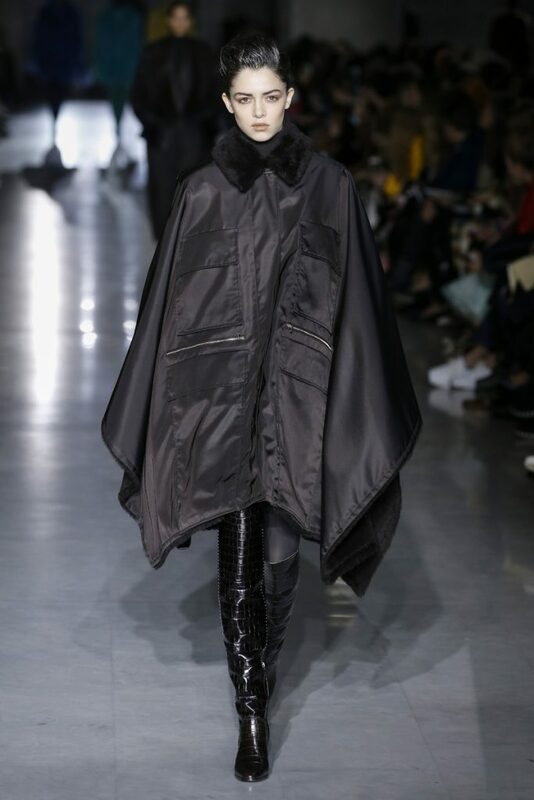 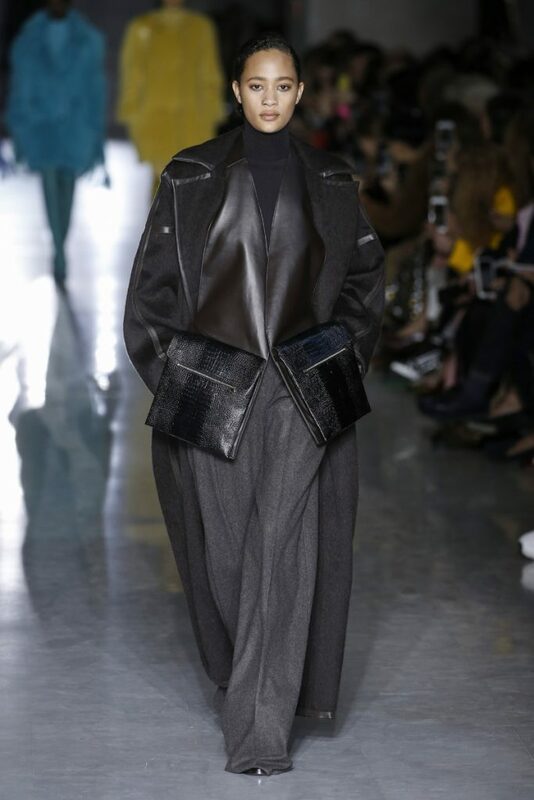 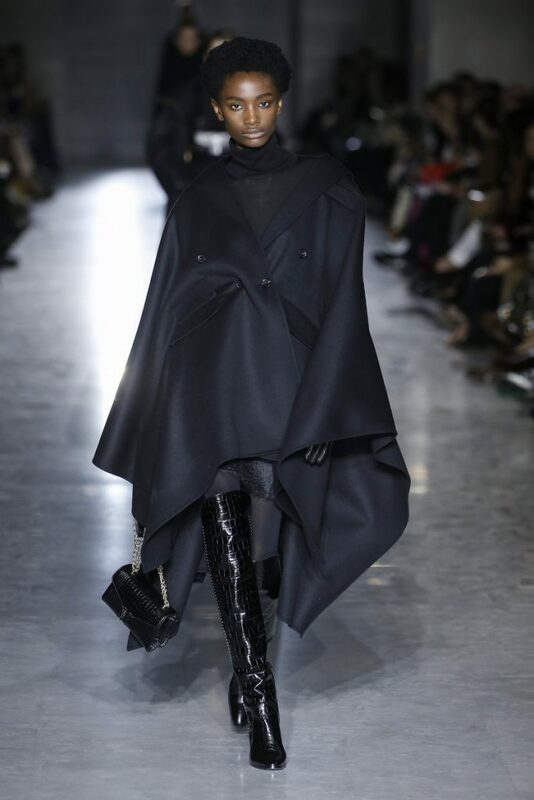 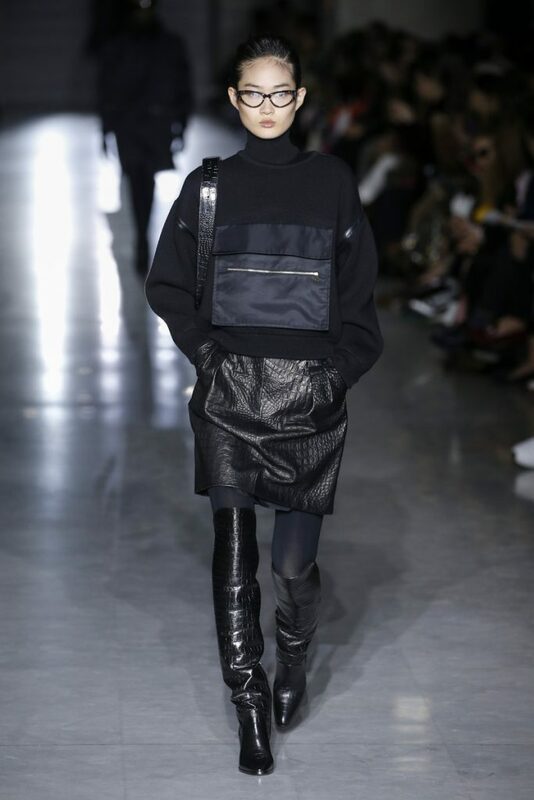 Yet the most powerful pieces of the collection simply were those feminine, easy going and effortless pants and overcoats. 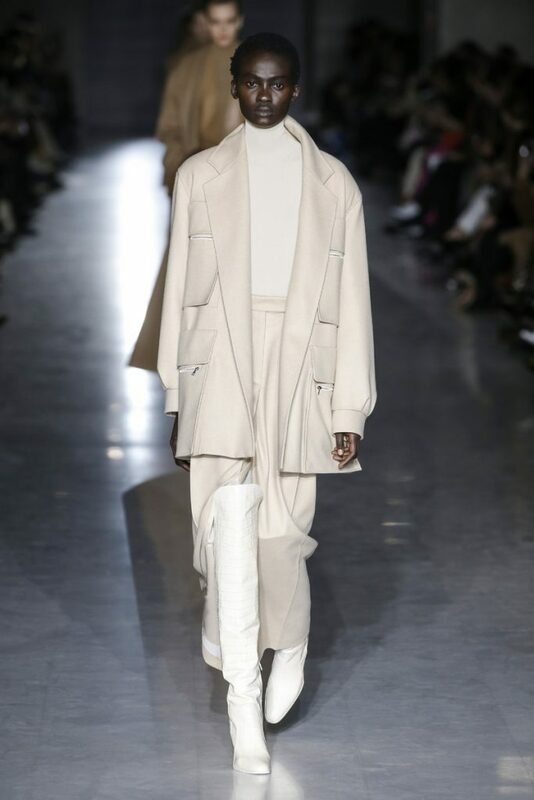 It’s always nice to have some options and we appreciate the colored initiative but if the Max Mara dresscode of beige and camel colored classics aint broke (yet) don’t fix it.